Nadiya Hussain rose to prominence after winning the sixth series of the hugely popular BBC show The Great British Bake Off. She is a British-Bangladeshi baker, writer, columnist and author who writes for the likes of Essentials Magazine as well as The Times Magazine and has publishing deals with a number of different houses. She also regularly reports or appears on Loose Women and The One Show and was raised in Luton. All of Nadiya’s earliest cooking skills came from learning at school as her mother never baked at all. The rest she learned herself by reading books and watching tutorials on YouTube. Her favourite book is a baking book by Irish novelist Marian Keyes. Nadia also writes a series of books for children and has been a judge on various cooking competitions on UK TV. She has also been commissioned to bake Elizabeth II’s birthday cake by Buckingham Palace for the Queen’s big 90th birthday celebrations. The cake she made was an orange drizzle cake with orange, buttercream and curd. Her regular columns in The Times and BBC’s Good Food Magazine are well read, and she has also guested on shows like Michael McIntyre’s Big Christmas Show at the Theatre Royal, Drury Lane. 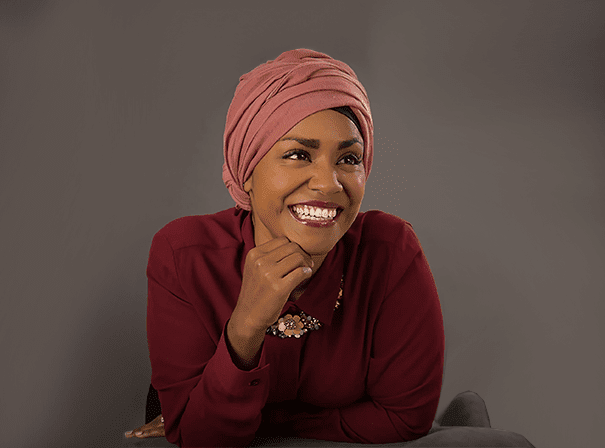 The Chronicles of Nadiya is her own cookery show that is set to have her travelling to Bangladesh to find out about the culinary roots of her culture and is from the makers of The Great British Bake Off. Nadiya Hussain, then, is hugely popular with a big social media following and fans all over the world.